Large capacity, warm climate single malt whisky that’s still firmly rooted in craft techniques. All photos by George Koutsakis. Arriving at the Kavalan distillery in Yilan just outside Taipei, Taiwan’s capital city, one quickly understands the sheer size of the King Car Group. The company operates businesses all over Asia, producing anything from flowers to chemicals. Mr. Brown’s Coffee, the largest Taiwanese coffee chain, is also owned by the group. Realizing the distillery is owned by such a large corporation would put many whisky fans off, as it would seen cut off from the preferred small batch or craft productions. Yet, the Kavalan distillery has risen in recent years to enjoy immeasurable popularity, especially overseas, in the European and U.S. markets. The site is huge. I’m ushered into the main hall where the distillery’s many international awards are showcased. ‘Vinho Barrique named the World’s Best Single Malt’ the banners read, along with a multitude of awards (including several from the NY International Spirits Competition) fighting for space on the wall. We’re soon walking along the grassy plains in the middle of which stands one of the several distillery buildings. 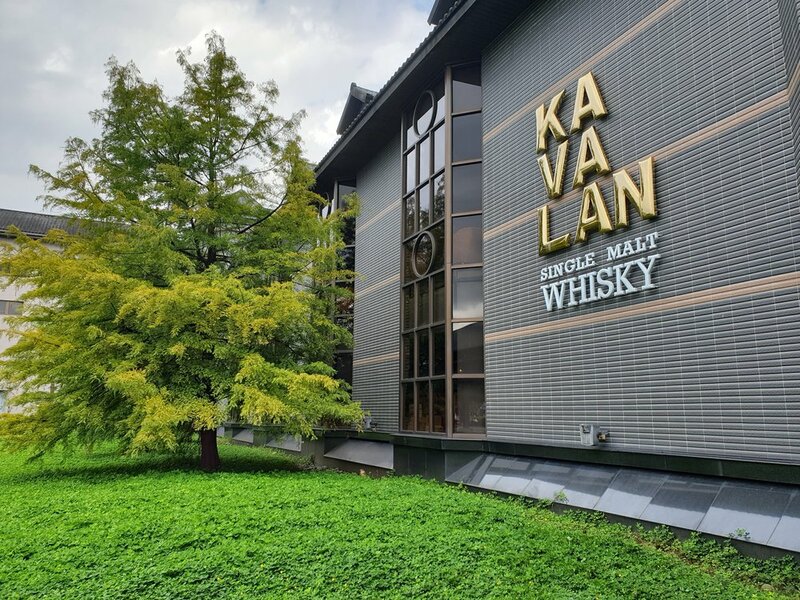 Kavalan’s capacity is large, and explains how the distillery is able to produce single cask releases as their core range and sell casks to select companies. Operating in single casks also means dealing with a huge loss from the annual Angel’s Share, the whisky that evaporates from those casks. Over in Scotland the annual loss amounts to around 2-3%; in Taiwan’s warm climate, it’s over 10%. The loss isn’t small, but the high temperatures in Yilan also make the whisky mature much faster. Most of Kavalan’s single cask Solist releases are only between 5 and 7 years old. The quick maturation paired with the excitement of continuous single cask bottlings, each with their own unique profile and specs, have led Kavalan to success in just a short 10 years. In fact, just a month ago, the distillery celebrated its 10th anniversary with the release of two extremely unique whiskies. The Kavalan Bordeaux Margaux and Kavalan Bordeaux Pauillac releases came to be after master distiller, Ian Chang, travelled to the famed wine estates of France to select the best wine casks for maturation. Bottled at 57.8% ABV, with only 3,000 bottles of each released globally, the new bottlings have fans hunting down each drop available. On the way to the distillery tour guests are ushered passed the cask charring area where casks are fired up behind fortified glass. This display is meant to introduce Kavalan’s innovative STR process, which was pioneered by whisky consultant Jim Swan. Sadly, Dr. Swan passed away in 2017, but not before training Chang to become one of the world’s most well-known distillers. To this day Chang and the entire distillery team always make sure to mention Swan’s name when discussing Kavalan’s success. Shave, toast, and re-char speak of the unique wine cask handling process that has made Kavalan’s Vinho Barrique, Port, Sherry and other wine cask expressions so popular. The method removes the unwanted acidic flavours from the wine previously held in the wood, and brings out the wanted fruity notes. The tour begins, and I’m taken through the educational area where grains, mashing, fermentation, and all the whisky-making steps are explained. The stills are many and the warehouse is vast. Due to the many earthquakes that occur in Taiwan, casks are stacked horizontally. The are so many stills that it almost resembles a factory. Across the distillery hall stands another building housing the Kavalan store (be sure to pick up the distillery exclusives when visiting! 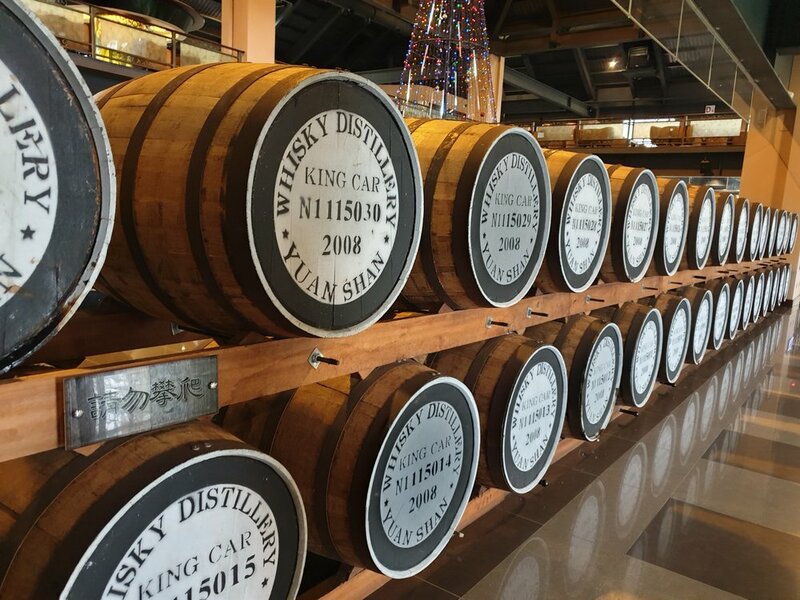 ), a café and restaurant and the tasting room where guests are lead to taste some of the distillery’s most famed expressions. Opposite the tasting room, first time guests are invited to create their very own Kavalan blend by mixing several components together. The final bottle is packaged and boxed up to take home to add a unique bottle to the collection. The Kavalan tour is eye-opening, showing guests how this Taiwanese distillery has grown so popular across the globe. Their business model gives fans a constant supply of new and exciting whisky, the cask strength approach caters to seasoned fans, and the depth brought by such a short maturation is almost unbelievable. There are many reasons to try Kavalan whisky, and now there are even more reasons to visit the distillery itself!